El Prat (BCN) is the main Barcelona airport. It is about 13 km south-west of the Barcelona city centre (Plaça Catalunya). From the airport you can get to the city by bus, train or taxi (the metro for the airport is under construction). The metro line L9 sud can be taken in the T1 and T2 airport terminals of Barcelona and connects with 3 urban metro lines: Torrassa station with the line L1, station Collblanc with L5 and Zona Universitaria station with L3. The L9 Sud has two stations in the area of Fira de Barcelona Gran Via. The normal single fare ticket is not valid for the Airport. It is necessary to buy a special single ticket to the airport. Also important, please note that the T10 card is not valid for the airport. Transit time to Plaza Catalunya, Las Ramblas and the Gothic Quarter: approx. 1 hour 10 minutes. Transit time to the area of Sagrada Familia: approx 1 hour 15 minutes. The fastest bus with a more frequent service is the AEROBUS. It has a light blue colour and there are busstops at all the terminals of the airport. It runs beween the airport and the Plaça de Catalunya (centre of Barcelona) and the travel time is about 35 minutes. There are 2 lines, the A1 (light blue) which runs from the Terminal 1 (T1) and the A2 (light blue) from the Terminal 2 (T2). The price for the one way ticket is 5,90 Euros and round ticket is 10,20 Euros (price 2019). Children under 4 years are free. This is the route from the airport (Terminal T1): Plaza España, Gran Via-Urgell, Plaza de la Universitat and Plaza Catalunya (city centre). From Plaza Catalunya to the airport: Sepúlveda-Urgell, Plaza Españya, Airport Terminal T1. This is the route from the airport (Terminal T2B): Airport (Terminal T2C), Plaza España, Gran Via-Urgell, Plaza de la Universitat and Plaza Catalunya (centre of the city). From Plaza Catalunya to the airport: Sepúlveda-Urgell, Plaza Españya, Airport (Terminal T2B) to the airport terminal T2C. The service operates 365 days a year, always with the same schedule. There is another bus line with less frequency which takes you to Barcelona (Plaça Espanya). The travel time is a bit longer (about 50 minutes) but the ticket, you can buy it on the bus, is cheaper (2,20 Euros, price 2019. You can also use the T10 card). It's the line línea 46. The access is from Terminal 2 (T2) through a pedestrian walkway. There is a free airport shuttle bus between the 2 Terminals, for those who arrive or depart from the Terminal (T1). Timetables (from the aiport): monday to sunday from 05:42 h.to 23:38. Timetables (from Sants station): monday to sunday from 05:13 h.to 23:14. Frequency: every half an hour. Barcelona taxis are easily spotted with their yellow and black livery. There are taxi ranks outside each terminal building. The journey into the city takes around 20 minutes and costs around EUR 30,--. (journey + luggage). The airport access road is the Barcelona-Castelledefels motorway C-31. The exit B-22 leads to the T1 and the C-32B leads to the T2. The 2 terminals are connected by a road. The C-31 motoway leads directly into the city on the Gran Via de les Corts Catalanes (popular Gran Via), the principal Avenue of Barcelona which runs the city from south to north, and it's quite easy to get to the centre. By the way, if you rent a car you will need a parking. Here you can reserve a park space. You can also book transfers for larger groups and book a place in a shared transfer service that costs € 9.48 per person and makes a maximum of four stops. I would be arriving at Barcelon airport on Oct 1 afternoon around 1 . Could you please tel me which bus or train at what terminal should I take to reach the hotel Catalonia ramblas.? As I am travelling alone I would not prefer taxis but public transport . Kindly help. Very easy, take the AEROBUS to the last bus stop (Plaça Catalunya). You will be less than 5 minutes by walk from your hotel. Visiting Barcelona this week, Is the bus the best and cheapest way to get from the Airport to Hotel Ambit? How far of a walk is it to the hotel from where the bus drops you off? Also will the Bus allow Luggage on the bus? The best would be the bus AEROBUS, to Plaça Catalunya, a good and cheapest option, the train to Passeig de Gràcia station. You can take the AEROBUS in all the terminals. The train only in T2 (a free shuttle bus connects T1 and T2). No problem about the luggage. Hi I want to take the train from el plat to urgell metro but don't know which train station from the airport to connect? please advice. The closest train station is Sants Estació (around 20 minutes by walk from the address you mentioned). Better for you would be to take the Aerobus to Gran Via - Urgell, only 5-10 minutes by walk. We wish a happy stay in Barcelona! What is the best way to get to Hotel Ciutadella (Avda. Marques d'Argentera, 4. Barcelona, 08003 ES) from BCN airport. How much does it cost? We do not want to take a taxi. Please advise. Thank you. You can take the Aerobus to Plaça Catalunya bus stop, the last one and then go to Plaça Urquinaona to take the matro line L4 Trinitat Nova direction to La Barceloneta station or take the train at the terminal T2 (there is a free shuttle bus connecting T1 and T2) to Passeig de Gràcia stationa and in the same station take the metro line L4 to La Barceloneta station. Hi we will be arriving on monday 14th at Barcelona airport . Which is the best way for four of us to get to an apartment on Carrer de la Creu ? We are sorry but the information is incomplete. There is a street call Creu Coberta, another Peu de la Creu and more.. I am visiting Barcelona on Wednesday 23rd September landing at El Prat Terminal 2 at 12:00 hours and planning to purchase T-10 Zone 1. Can I travel to HOTEL ONIX LICEO on Carrer Nou de la Rambla using this ticket once only ? Please provide details of all transfers in the journey. With the T10 you can use the bus 46 and the train. You can only buy the T10 card at the airport train station, which is in the terminal T2. We recommend you to take the train to Sants Estació and in the same train station take the metro line L3 (the green one) Trinitat Nova direction to Drassanes station. From Drassanes station you can walk to your hotel. The T10 has 10 journeys and it is multipersonal. You can also consider the Hola BCN card which has unlimited journeys and the train ticket is also included. The Hola BCN is unipersonal. Thanks for your reply. Please confirm if it is possible to travel on R2 Nord from Airport to Sants Estacio and change to R1 or R4 to go to Catalunya station using T-10 only once. That`s possible but it's better to take the metro (line L3) in Sants Estació to Plaça Catalunya due to the lower frecuency. Suggestions on the best way to trave from the Airport to Hote Europark on Carrer D'Arago would be appreciated. Arriving weekday 5.30pm and wondering if I'd be hitting peak hour traffic making a taxi an expensive option? Would also appreciate advice on what ticket to buy for travel around the city for 3 days. You could buy a Hola BCN card for 3 days which includes the journey from the airport by train (only by train). Near your Hotel there is a train station (Passeid de Gràcia). Note that you should take the train in terminal T2. If you arrive in T1 there is free shuttle connecting both terminals. A taxi will cost you around 25-30 €. Have a nice stray in Barcelona! Where can buy the transport vouchers? Is advance booking required for such vouchers? Can these vouchers be bought after arrival at EL Prat T2? What is the fare per head? What is time travel from airport to Senator hotel? Take the train at the airport (follow the Renfe signs) to Sants Estation and in the train station take the metro line L5 Cornellà centre direction to the station Collblanc, you will be close to your hotel. You will find information about the price above on this page and more information about the metro tickets here. We hope you have a nice stay in Barcelona! Hi, planning on catching train from Placa Catalunya to Terminal 2 as I already have a T10 rail pass. Is it possible to easily gain access to the station with luggage, 2 check in bags p,us another carry on, at Catalunya, change trains and make it out at the other end? Without help? Otherwise I will need to get the airport buss. Thanks so much. Don't take the train in Catalunya square, the Passeig de Gràcia station is not far and from there the train is direct to the airport. However, if you have a T10 1 zone you will need to buy the ticket. Please help us. We are coming for first time in Barcelona. I would like to know which is the best way to get to Hotel Eurostat Mitre on El Putxet station from Airport El Prat.I want to use the T10 ticket. You can use the T10 taking the bus line 46. You will arrive next to Plaça Espanya. From there take the L3 line (Poble Sec station) to Catalunya station and then change to the metro FGC to Putxet station. The Hotel is in the city center. You can take the Aerobus to the last bus stop in Plaça Catalunya. 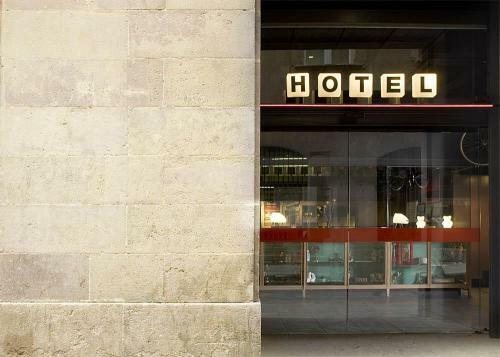 From there walk along Las Ramblas to your hotel. After taking the Aerobus you will get your hotel in about 30 minutes. A taxi will cost you arounf 25-30 €. Information about the Aerobus on this page above. is the metro from the airport the easiest way to travel to our hotel , the Silken Diagonal near Glories station? The airport metro is under construction but you could take the train at the terminal T2, if you arrive to T1 there is a shutle bus connecting both terminals, it's free. There is a train station near of your hotel called Clot-Aragó. AEROBUS -> Plaça Catalunya + Metro line L1 Fondo direction -> Glòries station. Have a nice stay in Barcelona. How to get to Urban del comte hotel from airpot el prat t2? I'ts Easy! AEROBUS in the airport and the bus stop is Gran Via Urgell, you will be less than 5 minutes by walk from your destination. Hi, I would like to know which is the best way to get to Lesseps from Airport El Prat. I arrive in Barcelona at 21, so I'd prefer to not use the first day of HolaBCN/Barcelona Card for that day? Is it cheaper to buy a single ticket or use the Card? Thank You very much! Very helpful website! Thank you for your comments. You can use the Hola BCN card for taking the train not the AEROBUS. The train station is on the terminal T2 (connected with the T1 by free bus). The Hola BCN 2 days costs 14,00 € and the AEROBUS 5,90 €, one way. To get Plaça Lesseps you should also take the metro, L3 (single ticket is 2,15 €) in Sants Estació or in Plaça Espanya (first bus stop). If you prefer to take the Aerobus you can also buy the T10 card in Barcelona (metro station) which have 10 journeys. Have a great stay in Barcelona! What is the best way to travel from the Barcelona Airport to Citadines Ramblas Barcelona Ramblas 122? Can we use the metro? If so, which line and which station? Take the AEROBUS at the airport to Plaça Catalunya bus stop. From there walk along Las Ramblas to get the Citadines Ramblas. Hello, we are booked near the hospital clinic metro station i was wondering what kind of transport we are going to take from the airport to the apartment & we want to go to plaza espanya to go to montserrat right away. Then we are going to see other sights like sagrada familia & finally going to the cruise ship ports. We are in Barcelona for 2 days...Is it cheaper to buy a card like BCN transport card or the T10 card or just pay the normal rate everytime? I appreciate whatever information you can give me. Thank you. To go to Hospital Clinic area you can take the bus AEROBUS to Gran Via / Urgell bus stop and from there you can walk to metro station HC. Concerning to the card, with a tourist transport Card like Hola BCN you have unlimeted journeys and the train to the airport is included (not Aerobus). If you use that card, the train station is at the terminal T2. You can go to Sants Estació and then take the L5 metro line at the same train station and go to Hospital Clinic station. The T10 card has 10 journeys (5 per person, then), so you have to calculated the amount of journeys you want to do. If you are 2 perons, then you need to Hola BCN (28,00 euros in total) and the T10 it costs 9,95 for 10 journeys. Aerobus 10,20 € per person (roun trip). Yes, there is the AEROBUS, you can find information on this page, on the top. The T10 card is not valid for this bus. You can also take the line 46, which will take you to Plaça Espanya or the line N17 (night bus working from 23:00 h but only in T1) to Ronda Universitat-Plaça Catalunya. On those buses you can use the T10 but the frequency and the journey is longer than the AEROBUS. Hi, this is not the first time we are visiting barcelona but the last time we stayed right at ramblas. This time we are staying at acta mimic in ciutat vella and we have a lot more luggage than we did the last time. Though we know the aerobus runs from the airport to placa de catalunya, we are kind of clueless as to how to get from there to the hotel. A family of 4 with large bags, walking the 400m distance doesnt seem like an option. Could someone tell us about the availability of cabs from the stop to the hotel, if we take the bus from the airport into the center. Any other, preferably economical, suggestion of getting to the hotel is also welcome. If you are staying at the Acta Mimic Hotel you don't need to go to Plaça Catalunya, you can go to Plaça Espanya, the first bus stop in Barcelona. From there you can get the metro (next to the bus stop), line L3 to Paral.lel station (only 2 metro stations). You could also stop a taxi in Plaça Espanya, but if you have a lot of luggage maybe is not possible with only a taxi. Other option is to contract a transfer service from Barcelona airport, but you should book for 5 persons so you will get a mini van and then you will not have problems with the baggage. We hope you have a nice stay in Barcelona!! Take the AEROBUS at the airport and get off the bus in Plaça Catalunya. Then take the metro line L3 (the green one) in the same square, Trinita Nova direction, and get off the metro in Diagonal station. From there you can walk to the Hotel Balmoral. Message: I will be coming to Barcelona for the first time, can any body guide me how to transfer from Treminal 1 air port to Senator Barcelona Spa Hotel which is at Cardenal Reig, 11, Les Korts, 08028 Barselona. Take the Aerobus at the airport and get off the bus at Plaça Espanya (first bus stop in Barcelona). Thne take the bus D20 (Ernest Lluch direction) in Creu Coberta street. This street and the bus stop is just on the left of the Hotel Catalonia Barcelona Plaza. Get off the D20 at the bus stop Collblanc-Cardenal Reig. You will be next to the hotel. Tip: In Plaça Espanya buy first a T10 card for the bus in a metro station or at the tourist office (next to the twin towers). You can also buy online the Hola BCN Card. Hope the information is useful for you. Hello PK, The best option is the AEROBUS. Will take you there in around 20-30 minutos. Plaça Catalunya is the last bus stop in Barcelona. 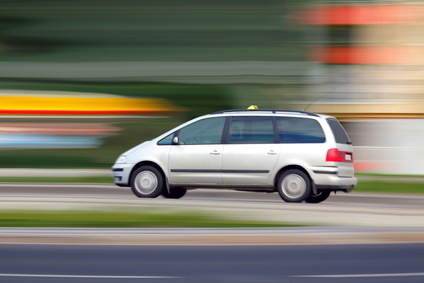 A taxi will cost you around 25 euros. Have a nice stay! I will be coming to Barcelona for the first time, can any body guide me how to transfer from Treminal 1 air port to Hotel Caledonian which is at Gran Via Corts Catalanes 574 ? Dear Harshad Shah, It's very easy. Take the AEROBUS at the airport (see information on this page). The bus stop for your hotel is Universitat (it's the third one in Barcelona city). The hotel is just 2-3 minutes walk from the bus stop. We hope you have a nice stay in Barcelona! Pl suggest what are the options available to reach above exhibition hall. If possible, I wanted to do one day city tour, is it possible? Dear Harshad Shah, to get the exhibition center (Fira Barcelona Gran Via) from Hotel Caledonian take the bus L94 at Plaça Goya (it is very close to the hotel, ask there about directions). The bus stop for the Exhibition center is Amadeu Torner. Total time around 25 minutes. We can arrange a city tour for you, but we would need more information. Do you want a private tour in a car with a driver? Do you also want an official guide? What language for the guide? For how many people? 4 hour or 8 hours? Please, answer those questions sending us an email to info@webarcelona.net then we will send you a budget. Thanks a lot for your support..
Could you tell me how far this address is from the drop off point of the AeroBus at Plaza Catalunya? We think that we'll be able to walk to it in a decently short amount of time (no more than 15 minutes). You can walk to the address you mentioned. The AEROBUS bus stop is only 5 minutes from La Rambla 124. We hope you have a nice stay in Barcelona. How can I get carre Escorial 32 baixos from Barcelona airpot? Thank you very much. Dear Mr Yoneyama, If you arrive to the T2 you could take the train to Passeig de Gràcia station. There you can take the metro L4, the green one (Trinitat Nova direction) to Joanic station. In Joanic station you can walk to the address you mention. Ariving at T2 or T1 (probably you will arrive at T1) you can take the AEROBUS to Plaça Catalunya (last bus stop). From there you can walk along Passeig de Gràcia to Passeig de Gràcia metro station (L4). All this is valid assuming you arrive at daytime. We hope this information is useful for you. The comments of this page are closed but you can add one on this one.